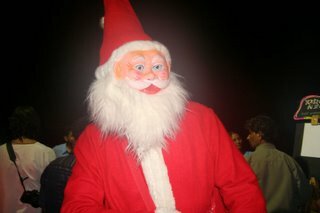 This weekend saw the alamy india xmas beach party - and it was brilliant. The setting was amazing, a private section of the beach at a private hotel, right next to the sea and lovely warm weather. There was a cartoonist, magicians, a band, lovely food, plenty of drink and lots of happy people! is the the santa they use to scare muslim kids away from christianity?